According to ancient legend, every species of tree is bestowed with distinct character and blessings, particularly precious trees. It is illustrated by, for example, the winner of a competition who wears a crown woven with laurel, an emblem of matchless nobility, victory and reputation. After much careful consideration, our designers have found the secret of revealing the distinctive beauty of valuable timber. Furthermore, they believe that only 17th century Baroque art, with its endless fantasy and elaborate and ornamented design best evokes the nobility of trees standing firm in the soil of the contemporary world. The Baroque Series represents a harmonious integration of art and technology. 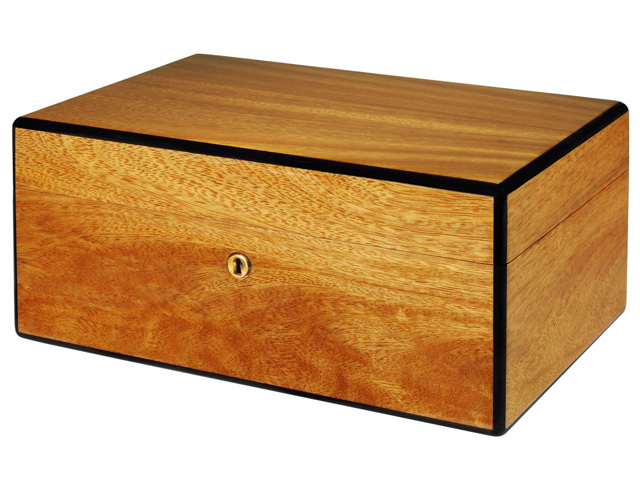 It brings together rare and exquisite woods with remarkable and sophisticated German craftsmanship to recreate the spirit of the Baroque period. We trust that this unique product with its refined and delicate style will fascinate and conquer the hearts of everyone ……………..
Santos Rosewood: a precious wood which is hard, heavy and sinks in water. It becomes as smooth as a mirror after polishing and is fine and cool to the touch. The texture is beautiful, unique and durable, and is not subject to decay. Golden Crotch Camphor: extremely valuable, used mostly for furnishing and decorating European royal palaces, with very limited annual output. 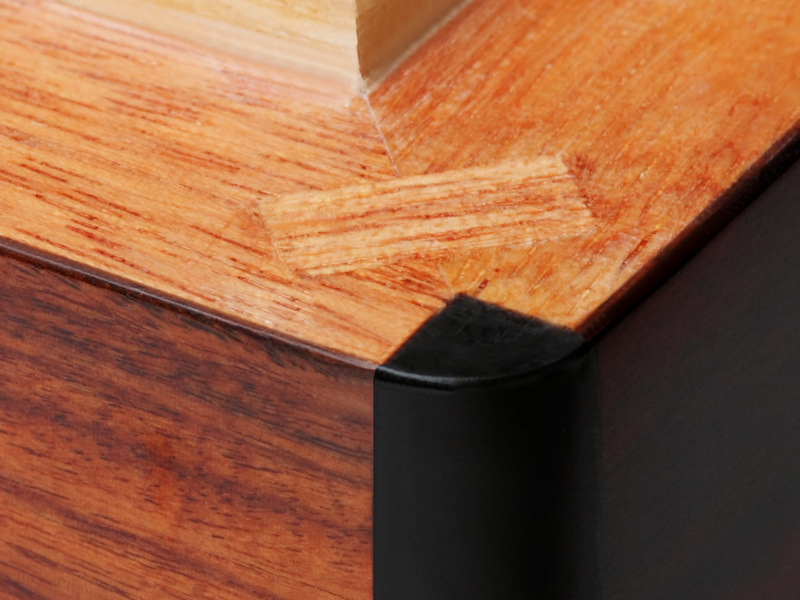 Ebony: a shiny and durable wood, either sheer black in color or with golden brown tints. It is hard, heavy but fine and generally used for black keys of top quality pianos. numerous times of fine hand polished. ~~ The high quality of imitate sheepskin PU leather softness comfortable of inner layer. 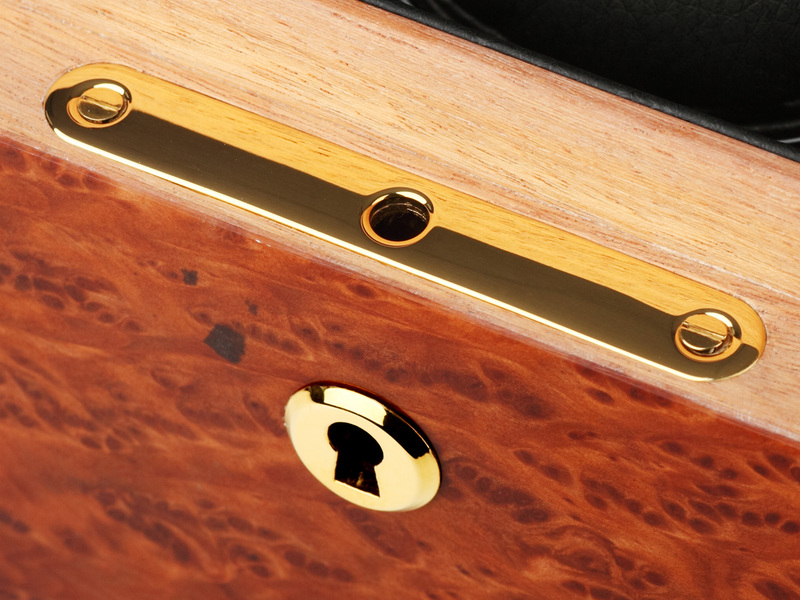 ~~ The precision hinge and key lock come from the Switzerland. 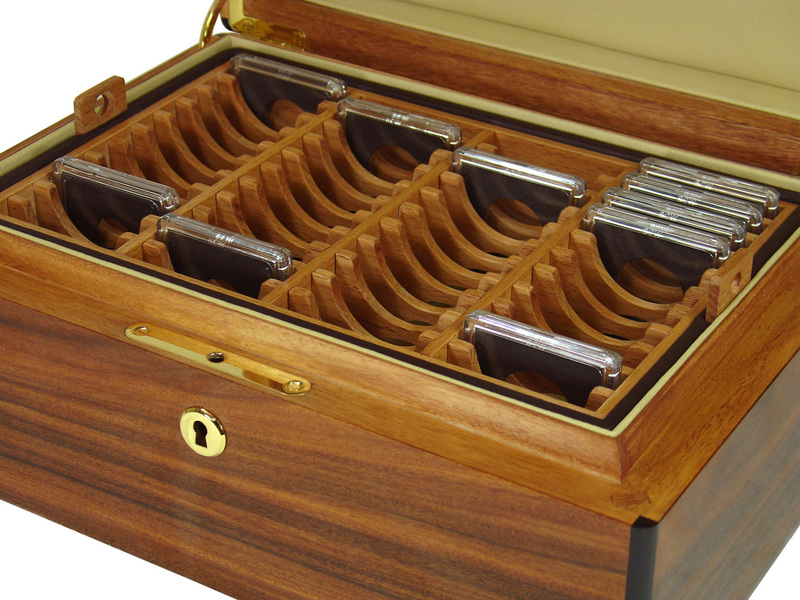 ~~ The main solid wood separate room tray is designed for safekeeping 40 pieces of precious coins. 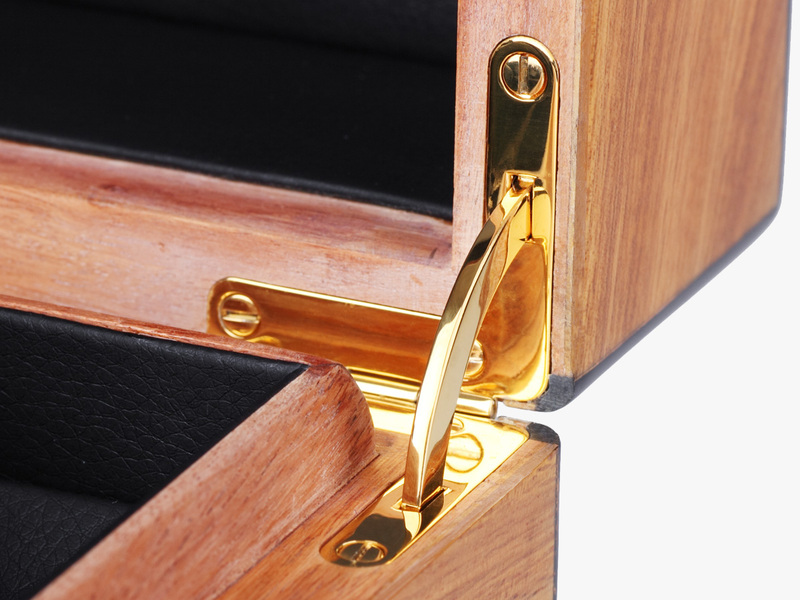 ~~ The auxiliary tray is designed for safekeeping irregular shape’s coins or tools. ~~ This design can meets different needs of coin collector.